Providing cross-chain liquidity is becoming an integral aspect of the cryptocurrency ecosystem. Several projects are providing exactly that, though they do so in different ways. 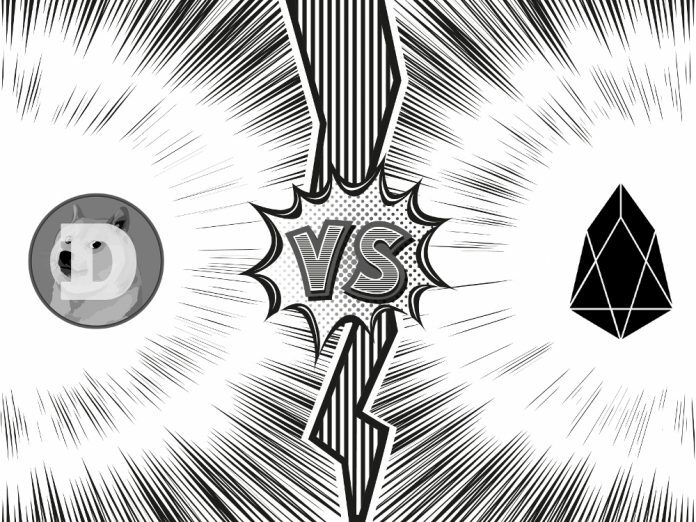 LiquidEOS is tapping Bancor for this purpose, whereas Dogethereum bridges the gap between Dogecoin and ERC20 tokens. Both projects have a lot of potential value in the long term. Most EOS enthusiasts know LiquidEOS as one of the block validators on the network. Besides that aspect, the project is also keen on introducing protocol chemistry between different blockchains and cryptocurrencies. This is achieved by leveraging Bancor’s technology, which will help the company offer a deeper blockchain experience and cross-chain liquidity. The main purpose of exploring this option is to make token conversions on the Ethereum network compatible with those on the EOS network. As both EOS and Ethereum use dApps and offer an ecosystem for token creation, it is only normal bridging the gap between both worlds becomes more important. LiquidEOS sees a lot of merit in exploring this opportunity, as it will bring several dozen ERC20 tokens to EOS to create a global cross-chain liquidity network. Additionally, this partnership with Bancor will improve overall market transparency. Trading manipulation is a major concern in the world of cryptocurrency, and addressing these problems will become even more important. The social impact of LiquidEOS should not be underestimated. Different opportunities can be explored, including the issuance of universal basic income tokens, among other things. Compared to LiquidEOS, Dogethereum is a very different project in many ways. While it also aims to bring more ERC20 token liquidity to the market, it does so for the Dogecoin ecosystem. Despite many cryptocurrency enthusiasts dismissing Dogecoin as a joke currency, there is a genuine market in terms of improving overall liquidity and mainstream traction. For the time being, only a test of the Dogethereum bridge has been conducted so far. It is a bit unclear if this concept will ever gain any real traction, even though it has become apparent there is a lot more to Dogecoin than meets the eye. If this project is successful in terms of improving liquidity for both ERC20 tokens and DOGE, things will get very interesting moving forward. It is worth pointing out the Dogetheruem bridge has nothing to do with the Dogethereum currency which will airdrop later this year. It seems the forked version of Dogecoin is using the exact name as this ERC20 bridge, which makes this confusing. The token itself has nothing to do with the bridge and vice versa.